See below for product categories! Also don't miss the 2019 3DCon in Akron Ohio! Contact us for details! All types of glasses for all your 3D needs! This includes the ScreenScope, the Loreo Lite, PinSharp and HyperView large format card viewer. We carry both slide and print viewers for your 3D slides and prints. This includes the Vivitar 3D CAM, 3D Lens-In-A-Cap, dual cable releases, slide bars for single camera stereo photography, twin bars for twin camera photography and some stereo cameras. 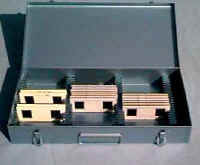 These are attachments for your SLR film or digital camera which replace the lens and will allow you to shoot 3D. We carry Jasper slide bars, twin bars and vertical mounts for mounting two cameras for stereo photography and stereo video. 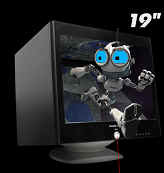 This 3D Monitor has the highest resolution and widest viewing angle among any 3D stereoscopic monitors. Uses dual inputs! More info Great for live monitoring of dual cameras. 3D shutter glasses for watching field sequential 3D Video. See 3D movies at home with these exciting 3D offerings for your TV. We offer these in field sequential for your CRT or Samsung TVs or Anaglyph for other High Def TVs. Lenses, bulbs and other accessories are featured here. Special 3D screens for 3D Polarized projection. Books, 1, 3 and 4 reel sets containing View-Master reels. And a special black View Master viewer. Also we have the Fallingwater Frank Lloyd Wright VM Reels! This includes the 3DIQ Unique stereocard viewing system which includes 20 stereocards in a unique modern format and StereoCards Sets of reproduction Stereoviews for your Holmes or Holmes type viewer. Also lorgnettes for viewing Stereo Cards. 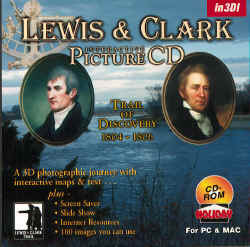 Includes Software for making stereo images, anaglyphs and CDs of images. Side by side and anaglyphic image CDs for your computer! Books, posters, and Viewer repair manuals are available here. 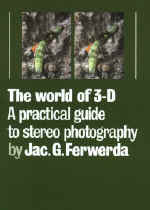 Also we offer books with the viewing method in them such as Bugs in 3D. Also now we offer Boris Starosta's Overdrive Poster. 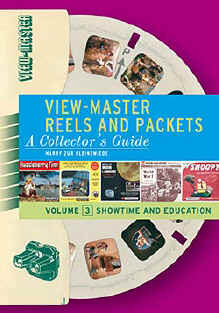 Viewmaster Collectors Books Volume 3 just released, Volumes 1 and 2 are also available! Our complete line of archival stereo pages. If we are not available to take your call please leave a message with your number and the best time to reach you. We will attempt to return all calls.